It's Friday! Finally. My favorite day! Today I wanted to give you a heads up on a preservative called Sodium Hydroxymethylglycinate (yeah, it's a mouthful!). I have found way too many companies and websites touting how it is a "natural preservative" or trying to whitewash it by saying it's a gentle preservative based on natural amino acid glycine. Some claim that it's safer and better than parabens because it won't release formaldehyde. Guess what? All false! Unfortunately, people and companies often get carried away and will do just about anything to make their products more marketable. There's been a large number of "natural" product makers that have been less than truthful by touting Sodium Hydroxymethylglycinate as a natural preservative and I'll repeat again: this is simply NOT true! It is true that it is based on glycine (a natural amino acid) but lets take a look at what they look like chemically. Pictured on top is Glycine and below it is Sodium Hydroxymethylglycinate. Needless to say, it requires an extremely heavy and synthetic industrial process to produce sodium hydroxymethylglycinate. Some more facts: Sodium Hydroxymethylglycinate is actually a skin and eye irritant. In both test animals and humans. Even after washing with water it can burn your eyes. Some time back, I had a friend who was sprayed in the eye with a facial spray that contained this preservative, and let's just say, he was not very happy! It stung and irritated his eyes for hours. I personally don't have sensitive skin, not in the least, and have only been bothered by one skincare product to date (thank God!). It was a body scrub that contained sodium hydroxymethylglycinate. Later on, I was doing some product development and was experimenting with this preservative. (And I always test on myself first). To be honest, I was very disappointed by it. It is true that it does have effective preservative properties, covering a broad spectrum of microbes, but its negative qualities are just too much. Sodium Hydroxymethylglycinate smells highly rancid, and even at concentrations of less than 1% can burn and irritate the skin. I learned this lesson by creating a prototype face spray with even less than 1% Sodium Hydroxymethylglycinate . . . let's just say I was sorry! My usually nonreactive face was red, irritated, itchy and a hot mess. Needless to say, any idea of using it in products gets a "HECK NO" from me. One of the inherent properties of using this preservative is that is really does smell bad, which sometimes can lead product makers to dilute it too much (where it loses it's effectiveness) or to use additional masking agents to overpower the rancid smell of this ingredient in the product. A lot of impetus for the use of sodium hydroxymethyglycinate is because of the false "cancer" scare related to paraben use (which is highly unwarranted). Even the cancer societies have dismissed these baseless assertions. Another tactic used to promote sodium hydroxymethylglycinate is claiming that it won't breakdown into formaldehyde like some paraben-containing preservatives. Actually, this isn't true either. Sodium Hydroxymethylglycinate can breakdown into formaldehyde and glycine (although these are quite negligible reactions). In later blogs, I will give a huge report on preservatives in skincare and everything you could possibly ever want to know! My Recommendations: Read product labels carefully and see if this preservative is one of them. Personally I wouldn't recommend using it. I especially think people with sensitive skin should stay away from Sodium Hydroxymethylglycinate. In truth, there have been no studies on the long term effects of this preservative on this skin. Sodium Hydroxymethylglycinate is NOT a natural preservative. It is actually a skin and eye irritant. No long term studies on the effect on the skin. Not many research studies done on Sodium Hydroxymethylglycinate PERIOD. Click here for the MSDS (material safety data sheet) for Sodium Hydroxymethylglycinate. One more piece of advice, all skincare products MUST contain preservatives, especially if they contain natural ingredients. Every once in a while I come across people touting their "preservative-free" products. THIS IS SERIOUSLY A HAZARD. Would you keep milk out for months at a time? No, cause we know it'll get bad, and so will our skincare products without the use of an effective preservative system. They only way we wouldn't need to use preservatives is if we made skincare products fresh ourselves (like every week!) and use them within a couple/few days. I'm sure hardly any of us have the time to do that consistently! Well, enjoy your wonderful Friday and have a happy, healthy weekend!! I hope you enjoy reading my blogs and feel free to email me any question you may have! Let me know what you think of the blog and what you'll like to hear more or less of! And I hope I don't have to ever keep repeating "sodium hydroxymethylglycinate" as many times as I have in this blog! This is a great post!!! I work at LUSH, a skincare store that prides itself in minimal preservative (14 month self life for everything), and yet still people freak out at the sight of "parabens" on the ingredients list. We try to explain that without them, the product would be useless, but we are often ignored. Thanks for letting it be known that preservative, at least with current technology, is very important! I will do many more blogs about preservatives in the future. This is a very important and serious topic in skincare that needs to be addressed more (especially from a healthcare and research perspective). Great read, I am one of those many persons on the lookout for a all I am reading before retiring to bed, I am now totally confused! I understand that preservatives need to be present in these skincare products to hold their shelf life. Should I avoid certain preservatives or can you recommend a certain brand that is generally safe to use? Confused but ambitious. This is absolutely ridiculous! Anything coming from petrochemical byproducts lessen the life on this planet. Constant debate over paraben causing cancer can be up for debate. However, storage of parabens inside the skin and face as an unnecessary byproduct is a fact in 100% of medical journals. For consumers that don't want unnecessary byproducts, they should avoid all use of parabens. The comment that we don't have technology is ludicrous! Vacuum technology allows preserving products. But 14 months of shelf life is not cool! We should only sell products and make them as needed. Consumer products need better regulation. And the reason you need strong preservatives like parabens is prior to ending up at a shop, it is usually stored in bulk at an un-airconditioned, non-humidity controlled facility. This unappetizing fact is the real truth behind the problems and reasons to keep using parabens. I am not the expert. The expert who taught me this is a doctor found in the Carribean Islands. Thanks Dr David for a great post. I have been looking for a natural as possible preservative to use in a natural line or skin care I wish to create, and this one was on my 'maybe list'. I am not a chemist and so am some what confused and baffled by a lot of the information and claims out there. I have a few more so called ntural preservatives on my 'maybe list' and wondered if you would mind clarifying for me whether or not they are indeed natural and effective. Thank you again for you information and expertise. Isn't it true that the majority of substances used in skincare products have not been sufficiently tested for safety? Of all of the scary substances out there, I'm not sure why you focus on this one. However, I appreciate the heads up. so what is a safe preservative to be found in skin care products??? what should i look for on a label? i am specifically wondering about lotions/cremes. Thank you for this blog. I will attempt to avoid products containing this chemical. Have a tremendous day. Preservative sensitivity in the UK was last assessed in 2000. Given the changes in preservative usage, we have re-evaluated our patch test data in order to detect any changes in the trend of sensitization. The results of patch testing using the extended British Contact Dermatitis Society Standard series were collected from 9 dermatology centres in the UK. Positive reactions to each of 10 preservative allergens were captured together with the MOAHFLA indices for each centre. In total, 6958 patients were tested during the period 2004-2005. The current data were compared with previously published data. Formaldehyde and methylchloroisothiazolinone/methyl-isothiazolinone have the highest positivity rates and chloroxylenol the lowest. Parabens has the highest irritancy rate among all chemical preservatives. How are you able to comment that parabens are safe? Parabens are also unnecessarily deposited into the skin. Why would you focus on one perservative. What about vacuum technologies as preservatives? I had a feeling this wasnt a good thing to have in our "pure Bioenergetic" and very expensive skincare line. After a swift package change, the ingredients changed as well. Guess what? That care line still puts out the good stuff for new clients! Must be an old game I finally caught on too. Thanks for this blog! I sell a-o-n(didn't know if I could say the actual name under the circumstances)and I am a little worried now about the safety of the shampoo product line, do I need to worry or is the very small amount of chemical in the product actually a problem? I recently bought some products with this stuff in it. It's admittedly very very far down the list of ingredients, but I got these products to replace a conditioner that had Acetamide MEA in it, which I've read can be carcinogenic in higher concentrations. Is this a decent trade-off or should I stop worrying too much? I cannot believe that anyone would suggest that parabens are OK. They are found in cancerous tumors and cause many skin problems. Natural skin care products may contain sodium hydroxymethylglycinate as a broad spectrum preservative since it is derived from a natural source. Lets think about this for a second. Products with parabens are generally packed full of other chemical nasties such as Propylene Glycol, Dimethicone and Phthalates. These petroleum and silicone derived ingredients are TOXIC. Feel free to google them or visit www.health-report.co.uk/ingredients-directory.htm to find out for yourselves. Natural products however are jam packed full of beneficial ingredients such as herbal extracts, essential oils, cold pressed oils and butters. Which would you rather use? Using a preservative is of paramount importance since using skin care which is spoiled due to bacteria, yeast or mould is obviously not good for you or your skin. Please visit www.cosmeticsdatabase.com and type in sodium hydroxymethylglycinate and then type in methylparaben. A good preservative used in natural products is grapefruit seed extract. This ingredient is natural, derived from the seed and peel of grapefruit. It is extracted using glycerine. No chemicals are present. When buying products check the label. Your skin, your health, your choice. Thank you. I make handmade skincare products and have been using liquid germall plus as my preservative. I just saw that someone else was using the one you mentioned and thought it might be a good alternative (it rates better on the cosmetic's safety database). However, after reading this, I won't bother. well... this is a very low hazardous ingredient. It is safer than parabens. If you sit there and list every ingredient that is bad for you then what can you use on your skin??? ABSOLUTELY NOTHING!! There is nothing out there that can be 100% Organic. it is impossible...unless u make your own cosmetics at home that will last you week. The products will have NO shelf life at all... you need a few preservatives that are non hazardous to make the products last. so before you go off on how harmful certain ingredients are please do your research well. ps Are you 100% organic vegan? quote- "Some time back, I had a friend who was sprayed in the eye with a facial spray that contained this preservative, and let's just say, he was not very happy! It stung and irritated his eyes for hours." Im sorry but if you spray anything in your eye its going to sting for hours. did your friend have a look at any of the other ingredients in the product that could be contributing to the stinging as well. I have used a natural skin care range with this preservative in it for a long time and i completly disagree. There is so much research, books and websites with information about parabens and why to stay away. Yes this ingredient is a preservative but it is no way near as nasty as the other toxic cocktails of parabens out there. Parabens usually come in trios so your not just getting one in a product your usually getting three or more. Parabens have been found in breast cancer cells and other tumors on people suffering with cancer and illness, And to my knowledge this ingredient has not been traced to anything as severe, oh wait apoart from your friends who eye stung for a few hours. Sodium Hydroxymethylglycinate Is only to be used a .1 or .2% not 1% that may be why it is irritating. Also any product with this preservative must have the ph level adjusted. Parabens do not stay in your tissue. You body makes natural parabens and no study has found them to be harmful. Of course anything in moderation should be fine. Putting bacteria ridden products on you skin could cause more problems than you think. It only takes a few hours for microbes to form. Hmm think I stick with preservatives. Great piece on this harmful product. I notice WEN products by Chaz Dean studios have a lot of "masked" products under the name of "All Natural" products for advertising/selling purposes!!!!!! Shocking. I have done my own research on various ingredients lately when I started using WEN products for a short while. This is how I came across your site. Thank goodness there are people like you out there who want truth to prevail amongst all the BS of advertising these days!!!! Well done and keep up the great work. If the stooges who deny what you say, can not see truth when it hits them in the head - just know there are many that you ARE helping by spreading the word.. Thanks! To the person above me, that is simply not true. Of course you can buy 100% Organic, I wouldn't be using skin care products if that weren't the case. My advice: cease your search for a natural lotion. To get a product to that consistency and bleached-white colour, is very difficult without some kind of chemical. For a natural homemade moisturiser, try a base of shea butter (cocoa & mango will work too) and beeswax. You can then add some almond or avocado oil (or simply pure extra virgin olive oil) and essential oils. Dear Dr David, thanks a lot for your time and energy. I wonder if this chemical is safe in a product that is used to relieve arthritis pain? I began recently using Sombra, a roll-on gel, which works wonders short term for my pain. It has Sodium Hydroxymethylglycinate listed rather near the bottom of the inactive ingredients. (it also has, rather higher on the list, decyl polyglucose). Anyway, the last thing i want to do is harm my already aching joints with Sodium Hydroxymethylglycinate! Thanks if you have time to answer me on this. This is really interesting information. I am a soap maker and I also make body butters. I am often tempted to make lotions (with water added) to be more competitive and wish I could find a preservative I could live with. I appreciate this information because the manufacturers of preservatives and products using them would have you believe that everything is completely safe and often find a way to tout this junk as "all natural". I am glad to be reminded why I choose to make 100% preservative free products. Thanks for the info! Also in my education, a lot of organice products can be just as hazardous to your health, if they are in their pure form, and/or in large quantities or mixed incorreclty with other elements. Anything can be a skin irritant...take this example...I grow organic aloe vera, which I harvest as needed. Problem is, 5 minutes after I've cut the aloe, it's decaying. If I apply this supposedly fresh and organic aloe vera gel to my skin, it reacts! Just the bit at the cut mind you. Yes there's the redness, sometimes it's itchy, but hey, it's organic, freshly cut aloe vera!! As other posters have said, preservatives are needed, it's good to have them as natural as possible, but it's a compromise really. First, I spend a great deal of time questioning companies about their ingredients because I run an online green products store and am very aware of all the false statements made in this industry. However, it is not uncommon (just like in this blog) for the green side to make inconclusive and misleading statements. 1. Are you claiming that the parabens you tout as effective are natural - because your argument about sodium hydroxymthylglycinate as unnatural make it sound like you are preferring parabens as more natural; which I think we can all agree are not. 2. 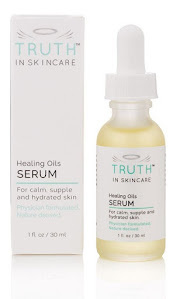 You state in 3 separate points that this ingredient is a skin irritant yet 2 points later you state that there are no long term studies on the effect on skin,and then another point states that there is really no research on this product at all. Somewhat misleading. 3. You state that parabens breakdown into formaldhyde (if I am not misunderstanding your post) and that this ingredient "can"; again, it's not sounding like parabens are the better choice here. 4. You mentioned that on individual sprayed a product containing this preservative and experienced eye irritation - how do you know that this was the isolated ingredient to cause that reaction - if I were to spray vinegar in my eyes I would probably discover a great irritation. 5 I could not open the MSDS link on your site, but did find one myself on naturalingredients.com that really presents this ingredient in a better light than you did throughout your blog. I admire your efforts to provide some resources, but I think that they need to be less one sided to be really helpful. I would like to submit an excellent article that discusses this ingredient and sites research from the European Union that further suggests that this is Indeed a safer preservative. Thank you for this blog! I have been using a body wash with this ingredient by the brand A'kin who claim that their products are 100% natural and suitable for my sensitive skin. I was suspicious when I saw it listed and should have known better. I simply don't agree with the last person who commented that it's ok for companies to use hazardous preservatives in skin products because it can never truly be 100% organic. You always have a choice when you shop, so it's common sense to read the ingredients and try to avoid those that are bad for you. And if you've ever had cancer, believe me, you'd want to avoid ingredients such as this hydroxything like the plague! Clearly, formaldehyde contamination or gender bending parabens are not enough to put some people off and as long as people keep buying it, they'll keep making it! I agree with Michael's comment above, that there needs to be better regulation of skin care products. This includes how they are made, stored and labelled. There is a lot of confusion on what ingredients are safe and what are allergens and potentially toxic. This is complicated by the fact that there are many natural ingredients (like limonene, linalool and citral) that are also skin irritants used frequently in most natural or organic skin care products. Why don't they use "Silver Sol" (Patened) created by Dr. Gordon Pederson as a natural preservative in Healthy skin care and cosmetics? Ahhhh, It Doesn't Take Long To Use Up All Our Products, Why Not Just Use Vitamin E, It Preserves And Is Great For Skin. What about it being in toothpastes? Is it safe for people to use? I have just started using a fluoride free toothpaste and it has it in it. Dr Dave - great post! As a natural skin care manufacturer, my biggest challenge was finding a preservative that was natural and not "naturally derived" blah blah. Contaminates, that can grow in natural products, can have some pretty nasty effects so a broad spectrum bacterial and yeast/mold inhibitor is necessary. I always encourage people to be an informed consumer and read and research the ingredients in the products they use. Keep up the good working! Nerium AD whats up with this product marketing nightcream but has a preserveative in it hydromeythclimate. There are many site visited by me. But it is exceptional other site because it is relevant as msds book guidelines Thank you very-much for sharing this blog. Hi :] I bought a n aloe vera gel yesterday. It's 99,9% natural actives: bio active aloe vera. It's certified by the International Aloe Science Coucil, but it has Acrylates/C10-30 Alkyl Acrylates Croospolymer and SOU HYDROXYMETHYLGLYCINATE!I'm confuse, you say it's dangerous?? I have a very sensitive skin, I used the gel yes ter day and today in a home made champo, too thootpaste and in my skin, arms and eyes and I should say I'm great!!! I started to be carefull last days about this things... As this gel just as 00.1% of no natural products, I can feel sável, right?? :) Thank you!!! This is really very informative article you presented here. I am also little bit like you as Friday is my favorite day. Here I agree with you that most of the people and companies do their activities for making their products more marketable.